The Last Used Car Record Book you will ever buy! 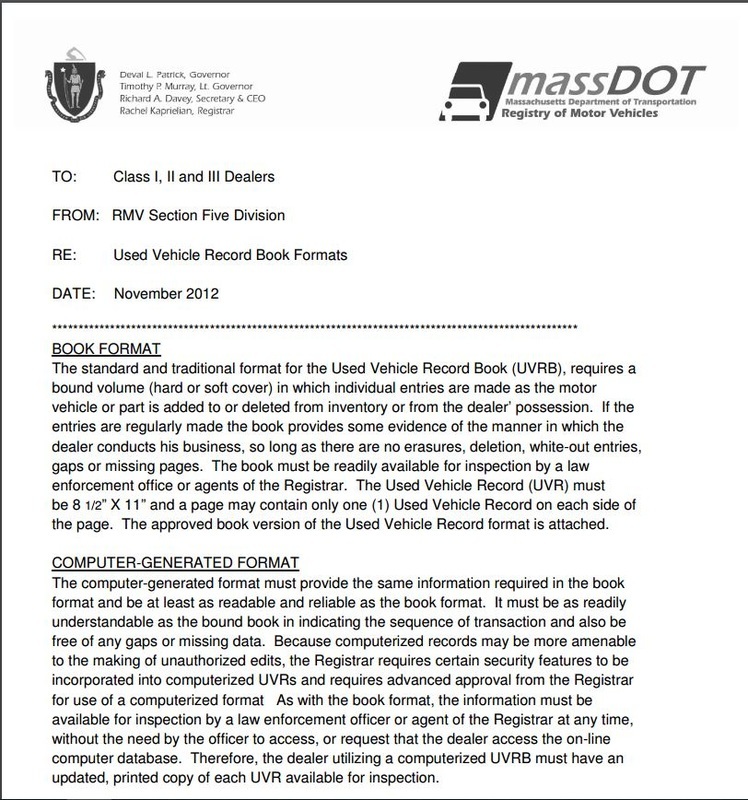 Now the only Electronic version of the Massachusetts Used Car record book that must be kept by all used car dealers. Now with VIN Decoder! The screenshots below show the information that the Electronic Car Book stores and prints. We now include a VIN decoder using the NHTSA database to make data entry easier. See the Full PDF quoted above here. ﻿We also sell many other items of interest to Auto Dealers ! Visit our Auto Dealer Marketing Solutions Websites at the links below.